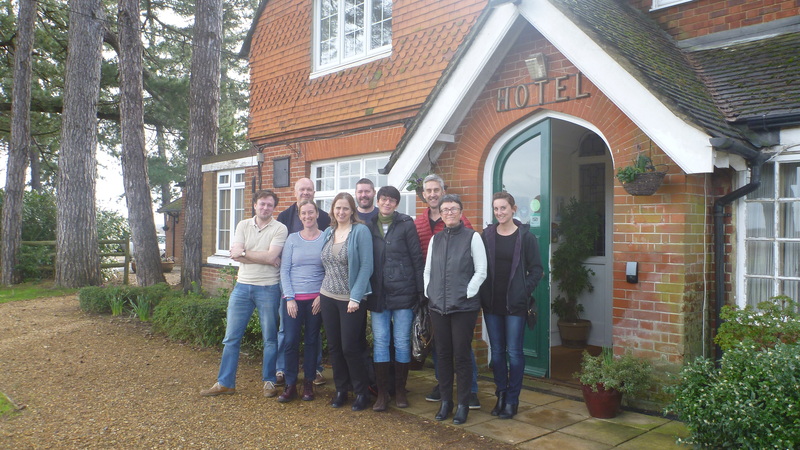 The NERC-funded Lakes and the Arctic Carbon Cycle (LAC) project draws to a close this month and so the team met in the New Forest to work on finalising the datasets and paper writing. 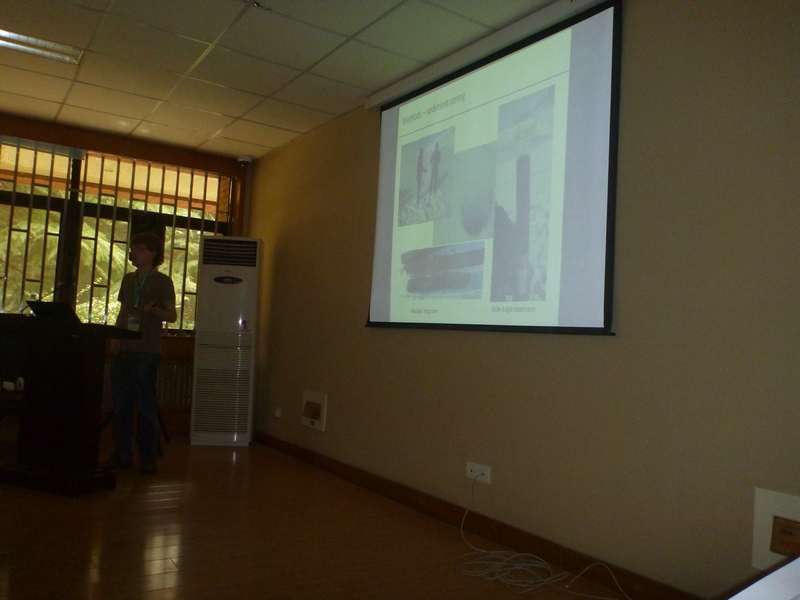 The focus of this meeting was interpreting the Holocene sediment record from Ruppert Lake in Alaska. The extensive suite of proxies analysed on this sediment core includes pollen and plant macrofossils to detect shifts in terrestrial vegetation and remains produced within the lake including geochemical elements, stable isotopes analysed on the organic fraction of sediment, chlorophyll and carotenoid pigments and diatoms. 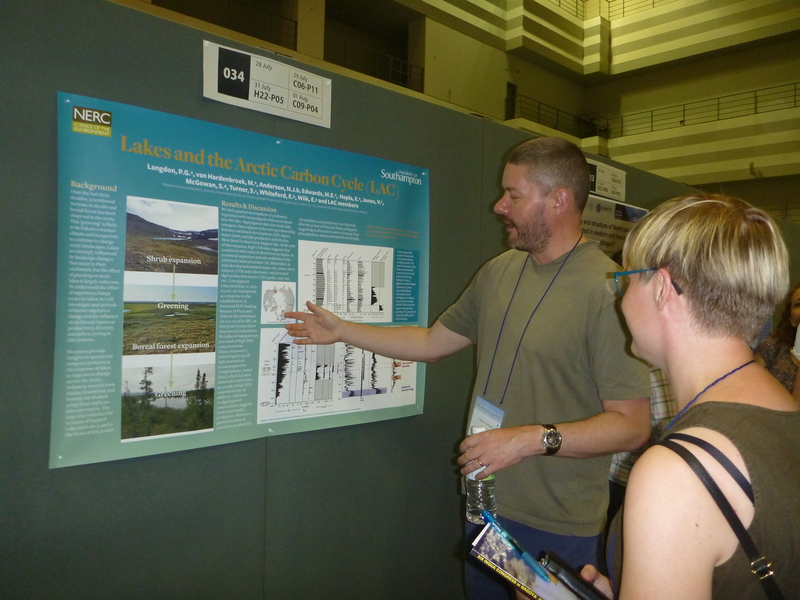 The results arising from the project indicate that terrestrial vegetation shifts have a clear effect on the structure and function of lake ecosystems, indicating that Arctic “greening” has the potential to substantially modify net carbon fluxes between the lake and catchment, with implications of for terrestrial carbon budgets on the landscape scale. 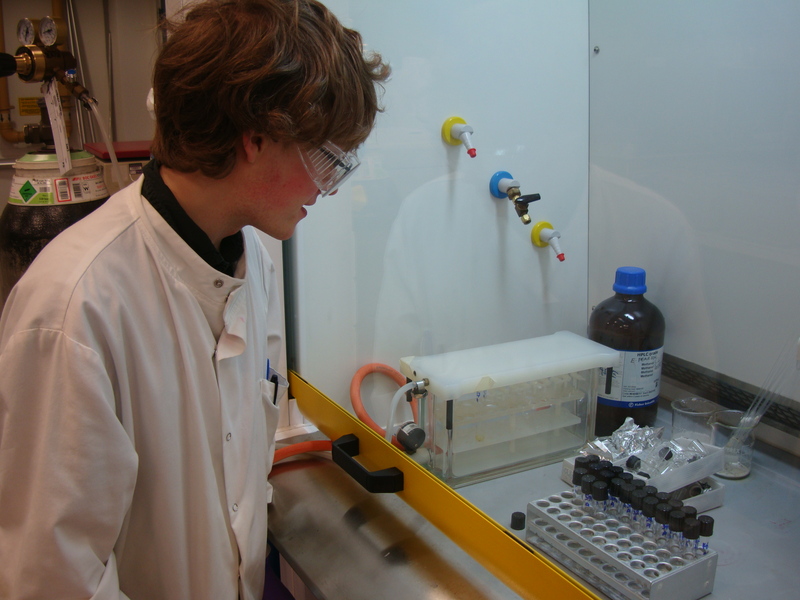 Earlier in December I spent some time at Newcastle University continuing the lipid biomarker analysis, which is part of my project. 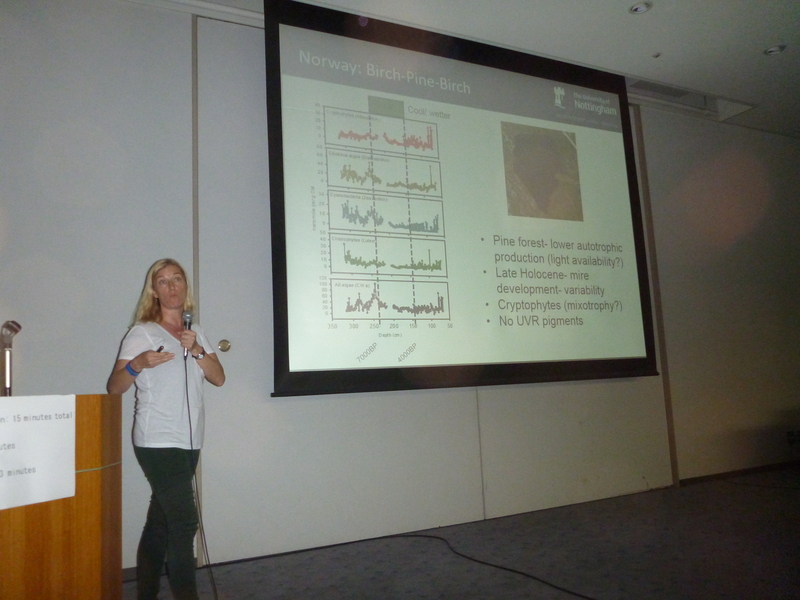 Lipid biomarker analysis should allow me to gain more information about terrestrial (land), aquatic (in-lake) and microbial changes in the sediment cores from Disko Island, West Greenland. 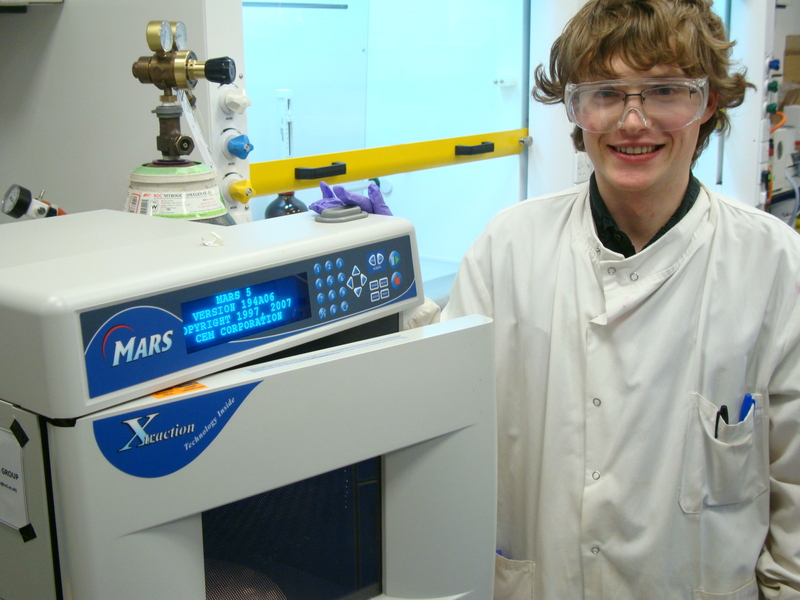 Here I am next to the microwave digester which heats the sediments up in solvents to extract the lipids. 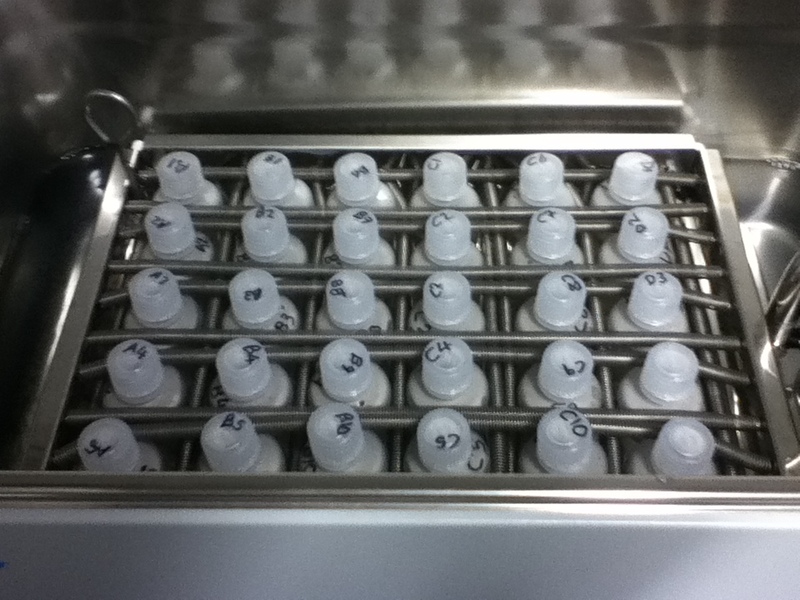 This photograph displays the finished ‘acid’ extracts and the drying down cabinet used to evaporate solvents and leave only the extracts in the test tubes. 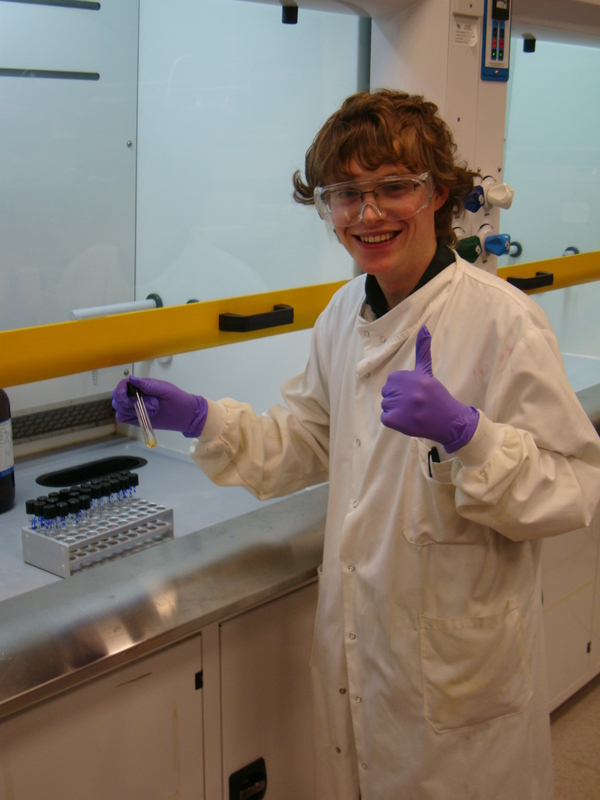 I’m pleased the labwork earlier in December went so well and plan to return to Newcastle to complete the procedure next week.